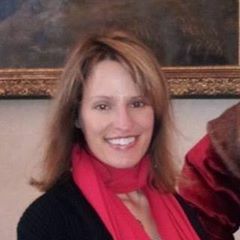 Laurie Ellinghausen, associate professor of English at University of Missouri – Kansas City, is the author of Labor and Writing in Early Modern England, 1567-1667 (Ashgate, 2008) and Pirates, Traitors, and Apostates: Renegade Identities in Early Modern English Writing (University of Toronto Press). Her latest publication, an article on the civic pageants of the London Fishmongers’ Company, can be found in the Summer 2017 issue of Comparative Drama. As an associate professor of English, my research centers on the literary texts, history and culture of Tudor and Stuart England. To me, literature cannot be distinguished from the history and culture of a period – rather, the two spheres work interdependently, each reflecting on and shaping the other. In this sense, my work reflects the legacy of the “New Historicism”; other shaping influences on my work have been cultural materialism, feminism, and social history. Although my approach to literature derives inspiration from these methods, it does not subscribe uncritically to any one of them but rather uses them part of a set of interpretive tools for approaching my primary area of interest – labor, class, and occupation as inflected in the poetry, prose, and drama of the period. Starting from my fascination with social and economic identities – and most particularly in how the languages describing them change during the sixteenth and seventeenth centuries – I came to maritime history quite by accident. In fact, I continue to do so again and again – all roads, it seems, lead to the rivers, the shores, and the ocean. This pattern began with my work on the popular mid-seventeenth-century writer John Taylor, known in his time as “The Water Poet.” Taylor, a self-educated Thames waterman with a prolific career as a multi-generic writer, used his status as a sculler-for-hire to argue for the value of his writing – writing he repeatedly described as “plain” and “honest” – in a literary market he viewed as saturated with posturing and deceit. 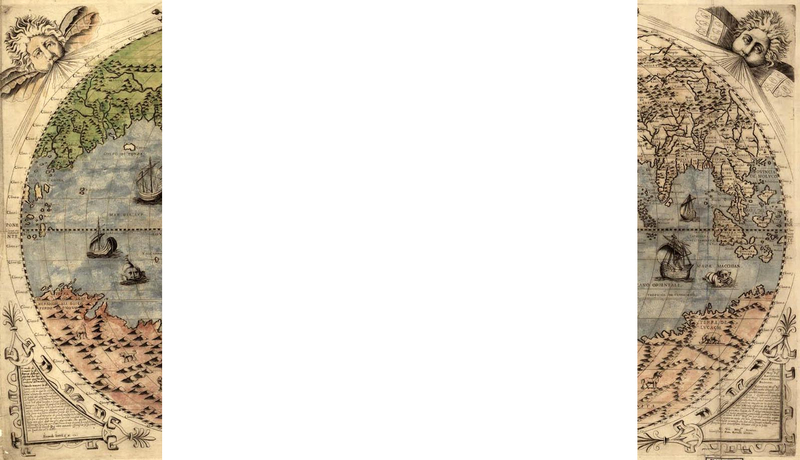 Taylor cannot be classified easily as a “working-class” poet, however. 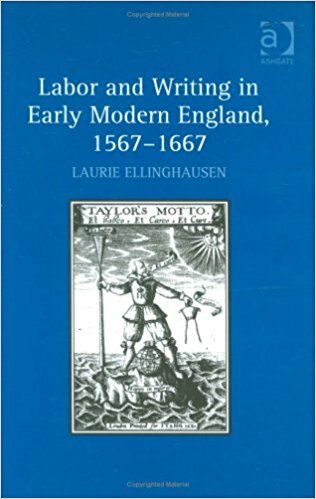 In fact, as I explain in my 2008 book Labor and Writing in Early Modern England, 1567-1667, Taylor’s political opinions range from elitist to democratic, a paradox that reflects his involvement in the London Watermen’s Company which, like other urban crafts, witnessed a period of conflict between company governors and the rank-and-file just before the English Civil War. Taylor’s persona and beliefs, like the Thames itself, are fluid and adaptable. And like the seamen that would come after him, Taylor’s embrace of his occupational identity and skill became the basis for a non-aristocratic social identity that offered its own kind of social and economic value distinct from that of aristocratic entitlement. 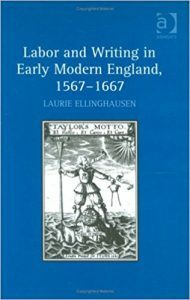 The research for Labor and Writing brought to my attention to new avenues for research on literature, labor, occupation, and class in the early modern period. Here again, maritime history asserted itself, although it was not in my plans at first – my initial research questions centered on piracy, apostasy, and conversion as avenues for social mobility and economic empowerment for English men and women restricted by domestic languages of class. As I researched subjects such as the Barbary corsair John Ward, an English fisherman who abandoned his naval service for a career in piracy and eventually converted to Islam, the oceanic context seemed increasingly important for understanding the themes of apostasy, rogue economic activity, and illicit social mobility raised by Ward’s case. To help make sense of literary representations of Ward, such as Robert Daborne’s in the play A Christian Turned Turk (1609), I investigated new (to me) theoretical approaches such as empire studies and the maritime humanities to learn more about the specifics of the maritime world as a unique culture and setting for the traffic of not only human and material commodities, but languages, spiritual affiliations, and class identities. 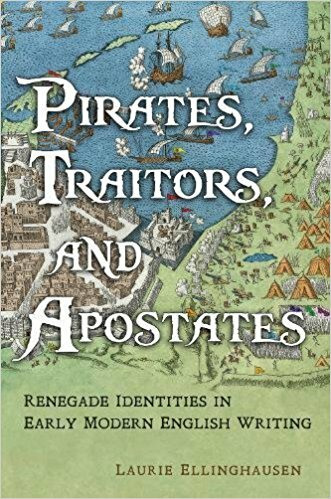 My book Pirates, Traitors, and Apostates: Renegade Identities in Early Modern English Writing (University of Toronto Press, 2018) examines figures such as Ward largely as products of the early modern maritime world, a sphere that facilitated not only new economic opportunities, but transgressive explorations of social identity that confronted and challenged older, land-based forms of social organization. 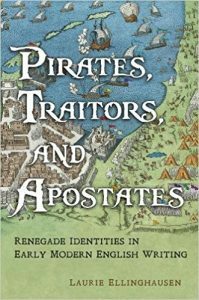 My research for Pirates, Traitors, and Apostates has made it evident to me that the ocean – newly opened up for widespread commerce and colonization through developments in navigation as well as the pressures of international economic competition – is crucial to understanding the dynamics of class and economic mobility in early modern England. The ocean provided the means by which England would realize its ambitions and eventually become the home of the world’s first modern maritime empire, one that would endure for centuries. To facilitate this empire, however, the nation needed more than just political support and merchant capital. It needed its humble sailors and watermen to transport people and goods; it needed its fishermen to feed people at home as well as provide an important commodity for international trade. In other words, it required the labor of ordinary subjects who, even while working in harsh shipboard conditions or disenfranchised occupations, sometimes also saw opportunities for their own evolution and advancement in the vast space of the ocean. Close study of the period’s literature helps me to uncover not only their stories, but to decipher what they mean as part of a broader social history that played out over the world’s waters.